By the fall of 1989, all this seemed in place. The 1988 presidential campaign in the United States had unnerved many in Tokyo; it looked as if the Democrats might nominate Richard Gephardt running on a protectionist, anti-Japanese platform. But the election was won by George H. W. Bush, the kind of moderate Republican with whom the Japanese political elite had long been the most comfortable. It seemed that after all there would be no significant political opposition in the United States to the emergence of what scholars and analysts on both sides of the Pacific were increasingly calling the “Nichi-Bei” or “G-2” global economy— that is, a global economy where the really significant decisions would be made by the two economic superpowers, the United States and Japan. 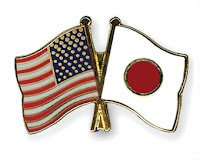 Today it seems laughable to imagine a future global order divided between Japan and the United States but when Bush I was entering office this seemed not only possible but probable. There was more to this prediction than the size of the economies involved; Taggart relates in detail how intertwined the political economy of both countries were, and argues that the economic strategies each employed during that era were not possible without the active cooperation of the other. In fact, if you were one of those people who passed along that silly Foreign Affairs essay claiming that the United States has not "employed economic means to achieve strategic ends" since the days of Kennedy and Eisenhower, this might be a necessary read for you. Japanese foreign policy in the post war world is the example of "economic statecraft" par excellence and this book will give you a flavor of what terms like 'economic statecraft' ought to mean. American statecraft is not given the same weight (this is, after all, a book about Japan), but Taggart narrates enough about how American statesmen decided to respond to Japanese maneuvers to expose the 'American economic policy hasn't been geopolitical enough' crowd as fools. However, the world of international policy abounds in fools. As the passage quoted above suggests, even the bests analysts play the fool sooner or later. Knowing what we know now, it is obvious that visions of a "Nichi-Bei" global order were fantastical. But foolishness is never seen as such in the moment, at least not by those caught up in it. This is the problem with futuristics and forecasting as a whole: it is too easy to project the zeitgeist of the moment onto an uncertain and unknown future. Analysts must have the humility to declare that this is what the future really is: uncertain and unknown. It is true, there are a few factors, like demographics and the like, who move so slowly that the flower's shape may be known long before it blooms. But these are the exceptions. Wars and contentions, discoveries and inventions, the wild chase of the animal spirits--none of these can be seen decades before hand. Praise the pundit who has the humility to admit this. Murphy Taggart, Japan and the Shackles of the Past (What Everyone Needs to Know) (Oxford: Oxford University Press, 2014), 186-187. Robert D. Blackwill and Jennifer M. Harris, "The Lost Art of Economic Statecraft," Foreign Affairs, March/April 2016 Issue. 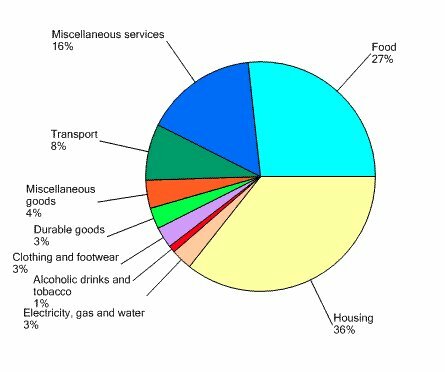 The authors use this figure to illustrate Engel's Law: as incomes rise households spend a smaller proportion of their income on foodstuffs. The figure demonstrates this point excellently. More interesting than this broader trend, however, are the quirks in consumption unique to each country. The high cost of American health care is easy to spot here, as is the high proportion of income South Koreans spend on education. What sticks out most to me, however, is Hong Kong. People in Hong Kong devote a whopping 17% of their annual consumption on clothes and shoes, This is not only five times what other developed countries are spending on apparel; it is also more than Hong Kongers spend on housing, health care, or transportation! I encourage you to page through the report and find your own favorite figure from it. Trey suggests--as did the commentator "Bormington" below--that the APO numbers probably come from sloppy compilation of data that counted tourist purchases along with regular household consumption. I agree that this is the most plausible explanation for the discrepancy.